Bill.com integrates with NetSuite to deliver seamless, cloud-based financial management. Inc.well interviews Candace Klein, CEO of SoMoLend, about crowdfunding. Virtual Piggy partners with World Industries. Wonga launches in South Africa. American Banker considers if Dwolla is a threat or opportunity for banks. Soshable covers Klarna, CoverHound, Giftly, ZipZap, BillGuard, Dwolla and Virtual Piggy. The Next Web takes a closer look at the tech that powers LearnVest. BCSG partners with Sage to offer MyBusinessWorks customers the bookkeeping application Sage One Accounts. ValidSoft announces partnership with Spindle to provide advanced payments security solutions to US-based customers. Fast Company names Laura Mather, Founder and Chief Visionary of Silver Tail Systems, as one of the Most Creative People in Business. What Does $4.6 Billion in Coupon Savings Have to Do with Savvy Consumers? FinovateSpring 2012: quoi de neuf? Business IQ Express… what is the media saying? “As malware becomes more prevalent on end-user devices, criminals are devising new ways to exploit these compromised machines. One of the latest threats is parameter injection. Bank Innovation names Kabbage CEO, Rob Frohwein, as 1 of 10 top innovators. SimpleTuition’s SmarterBank announces $25,000 #CrushStudentDebt Sweepstakes. Pindrop Security raises $1 million in seed funding. Yodlee Interactive announces new accelerator/incubator programs. Bermuda’s Royal Gazette features Expensify. ZipZap to power cash payment service for Towah Group. Silver Tail Systems announces partnership with Barclaycard Global Payment Acceptance. See Silver Tail Systems at FinovateSpring. Kony Solutions is one of the first mobile platform vendors to support BlackBerry 10. 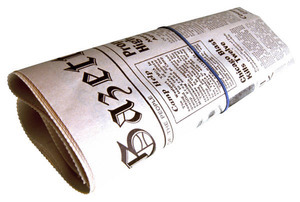 Bank Technology News reports Bancorp using PayPal for payments and account-opening tech. Carahsoft Technology partners with Silver Tail Systems. ARM Insight & IP Commerce close the loop on real-time offer redemption. eToro updates its Android app with Social Cherry feature. MoneyGram joins ZipZap’s U.S. payment center network. Loyalty 360 interviews Tom Burgess, CEO of Linkable Networks. Internet Initiative Japan launches Ping Identity’s Cloud Federated Authentication Solution. Q2ebanking powers Penn Liberty Bank’s Android mobile banking. On Deck announces the launch of Split Funding, a loan repayment method. See its live demo at FinovateSpring. UPS recommends Kabbage for small business financing. Forward Thinking explains how Mint’s mobile model has completely changed Intuit. American Banker reports LifeLock buys ID Analytics to boost its appeal to banks. Practical Ecommerce profiles Kabbage, highlights future endeavors. CNN Money discusses how SecondMarket escaped clashes with the new SEC ruling. Convenient Cards, Rapid Financial, & Plastyc partner with Arroweye Solutions to get prepaid cards to market faster. Silver Tail Systems introduces profile analyzer to protect websites from cyber attacks & fraud. Check Point wins 2012 SC Magazine Readers Choice Award for best intrusion prevention solution. Syphr and CarLoans.com launch ad platform pilot for CUs. American Banker reports Bancorp Bank announces NetSpend, InComm prepaid card deals. PayPal introduces PayPal Here to compete with Square. Finextra discusses ebilling adoption rates, reviews Striata’s strategy. H&R Block Canada and Yodlee partner to deliver tax applications to financial institutions. Clairmail and VocaLink partner to combine real-time payments with mobile solutions. Last week, MasterCard announced the formation of a relationship with Silver Tail Systems, an online security and intelligence startup. The two will help U.S.-based online merchants by providing fraud solutions. 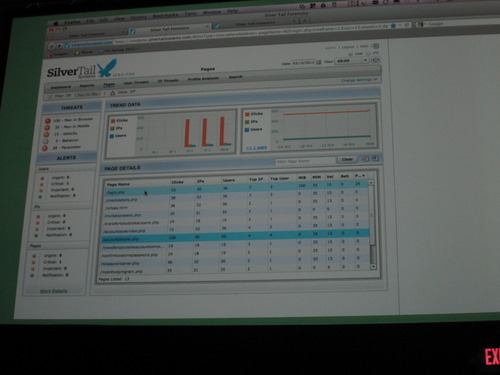 To learn more about Silver Tail Solutions, watch its FinovateSpring 2011 demo. American Banker reports SmartyPig adds office in India. American Banker reports PayPal digs even further into the prepaid card market. 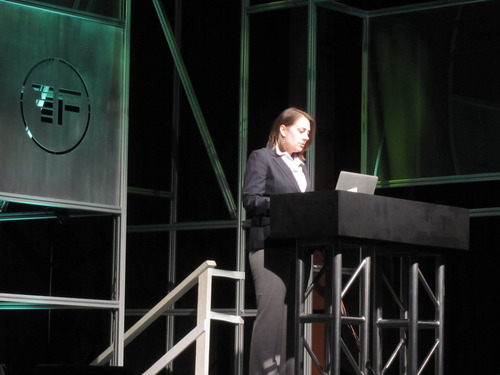 TechCrunch Europe covers ETRONIKA’s FinovateEurope presentation. VentureBeat lists Danny Shader, CEO of PayNearMe, as an entrepreneur using startups to change the world. Since Aptys Solutions 2010 launch, over 1,000 commercial banks now use PayLOGICS platform to process payments. Diversinet Corp. appoints Dr. Hon Pak as the company’s CEO. Cartera Commerce named to OnMedia 100 Top Private Companies List. AccMan looks at how CurrencyFair solves multi-currency cost issues. INDYCAR partners with Segmint to reward race fans. MasterCard forms alliance with Silver Tail Systems. Peter Thiel’s Valar Ventures contributes to Xero’s recent $16.6 million in funding. To wrap up 2011, we’ve compiled a list of all of the funding Finovate alumni received over the course of the year. Note: Funding that companies received before they demonstrated at Finovate was not counted. If you see any funding that is not on this list, please send the name of the company along with a link to the funding information to julie@netbanker.com and I will add it.